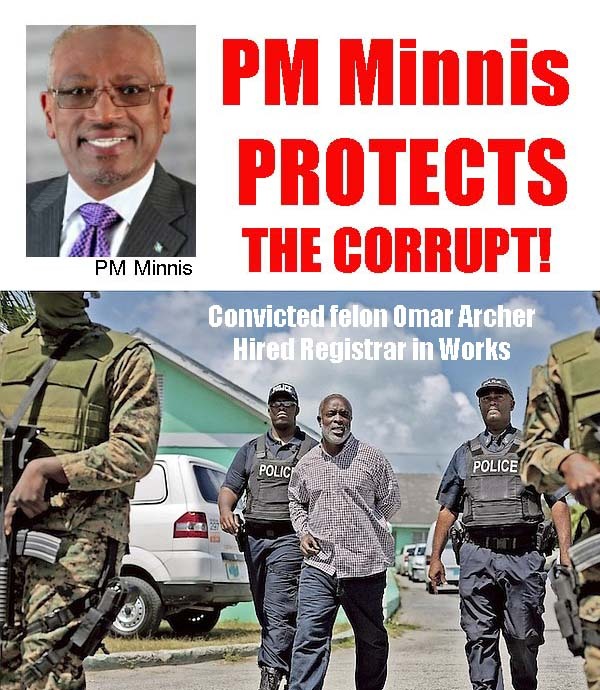 Home Local PM Minnis Protects Criminals and the CORRUPT! PM Minnis Protects Criminals and the CORRUPT! Why has Duane Sands not been ordered to RESIGN FROM CABINET if PM Minnis really believes in FIGHTING CORRUPTION? Nassau – Bahamas Press is still waiting to hear the explanation for how Omar Archer, a convicted felon, is now a Registrar in the Ministry of Works? 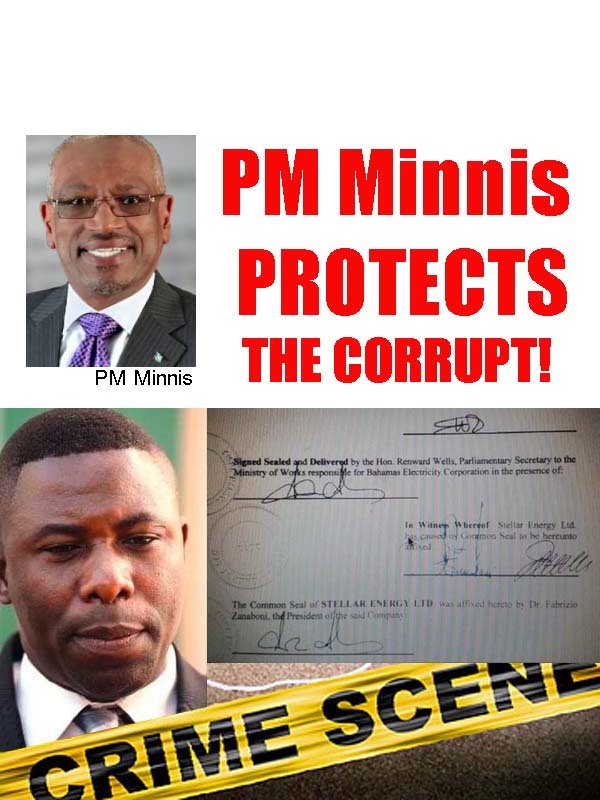 PM Minnis PROTECTS the CORRUPT! Omar is now the Registrar for Contracts with responsibility for ensuring contractors who bid on contracts are compliant with the legislation. Police once sought Omar after posing with a shotgun online. 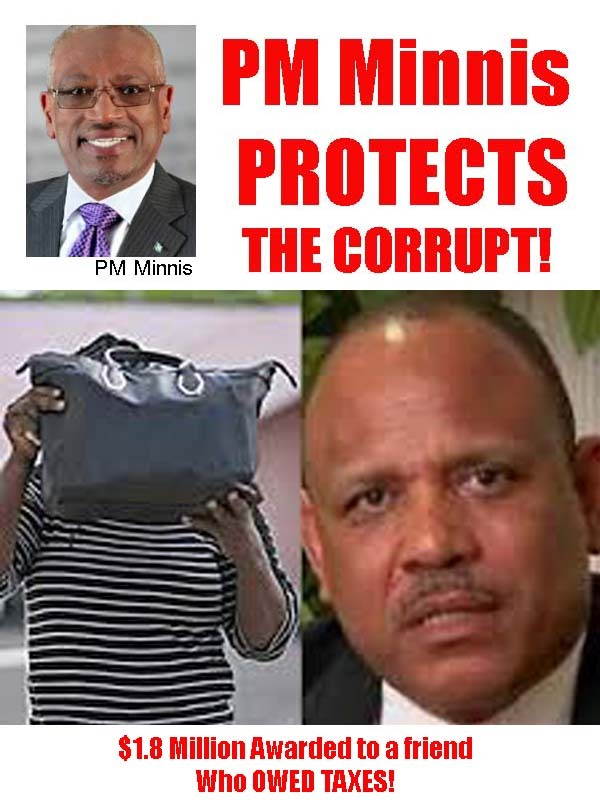 One thing is certain though: PM Minnis Protects The Corrupt! Previous articleBahamians will not attend another Grand Bahama Pageant until the present leaders of the event CARRY DEY ***! Next articlePolice MOST WANTED MAN for Inspector Blatch’s murder is Timothy Cole!